Clint Eastwood’s rendition of the classic A Star is Born will have some grungy edges. 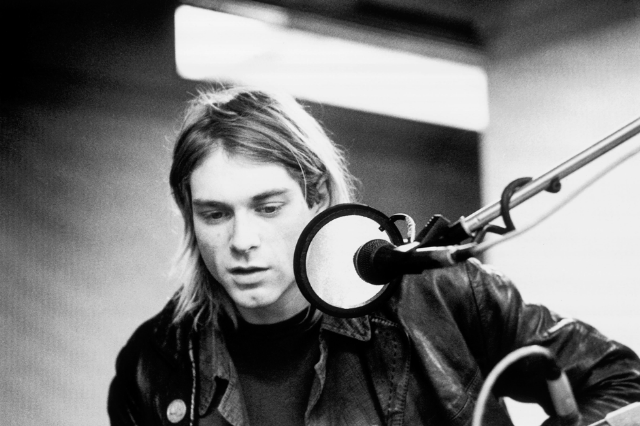 Screenwriter Will Fetters has admitted he wrote the new script with Kurt Cobain in mind. At a roundtable for his latest oeuvre, the Nicholas Sparks sob-fest The Lucky One (yeah, not that Zac Efron movie, but this one), Fetters told tech-and-media site Collider that the new Star, which will star Beyoncé and (as rumors regrettably have it) hair-metal icon Tom Cruise, will explore an alternative universe in which the protagonist walks and talks kind of like the late Nirvana frontman if he hadn’t committed suicide in 1994. Now, this revelation may be neither here nor there, truthfully because that washed-up rocker direction has already been taken. There have been approximately a bazillion (okay, three) versions of the flick already: one in 1937 with Fredric March and Janet Gaynor, one in 1954 with James Mason and Judy Garland, and one in 1976 with Kris Kristofferson and Barbra Streisand. The ’76 version was a reimagination of the original movie-star story, in which Kristofferson plays a rock star past his prime aiding a rising singer. So, apart from Tom Cruise donning a graying, bleach-blond wig and a holey striped sweater, the plot has already been done. But Fetters continues, explaining the new themes he’ll be bringing to the flick will update that story to the complex entertainment standards of 2012. Bringing the music biz’s current woes into focus may not be a bad tactic. And at least be interesting to see Faux-bain mentor Faux-yoncé with Eastwood behind the camera. “Single Heart-Shaped Boxes,” anyone?